What you hear can never be the same as what you see. After what you have seen from the delightful videos screened today, there isn’t much left for me to say. However, on this auspicious occasion, allow me to share just a few words. First, on behalf of myself, my Mission staff, and the Government and people of Afghanistan, let me congratulate my colleague Ambassadors and all Nowruz celebrating nations on the occasion of the start of our New Year. 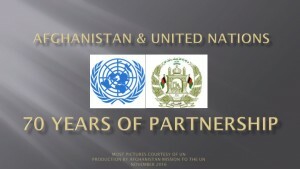 I convey my special greetings to fellow Afghans present here (سلام هموطنان عزیز، نوروز تان مبارک). 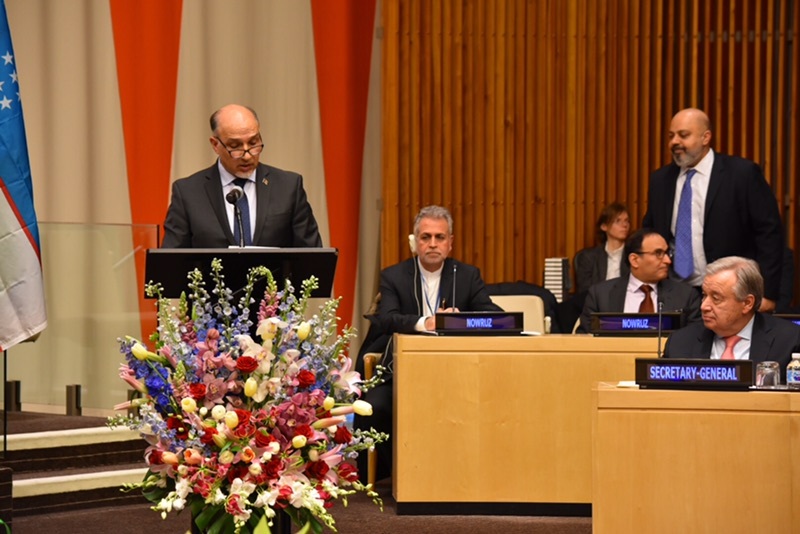 I would like to thank the Secretary-General, the GA President, and the UNESCO Director for their kind remarks and also warmly welcome the presence of all others from around the world here today. In our region, the celebration of Nowruz goes back to thousands of years in time. Nowruz is a time of joy and festivity among different ethnic, linguistic, religious, and geographic groups. This special occasion helps bring people together in its spirit of joy, friendship, compassion, co-existence, and solidarity. During recent years, there have been collective celebrations in capitals around our region, which has boosted the spirit of better cooperation in pursuit of shared prosperity across the wider region. From the broader perspective, Nowruz enables people to come together and spread the values of community and a shared cultural heritage. The onset of Nowruz is eagerly awaited by our people throughout winter. During this time, taking away the gloom and decay of the cold season, nature gives way to the bounties of spring. Nowruz symbolizes a time of renewal, revitalization and above all, the start of a new phase, manifested in hope, openness, prosperity and peace. This is our collective memory and shared tradition, as a nation and people, of this beloved day. 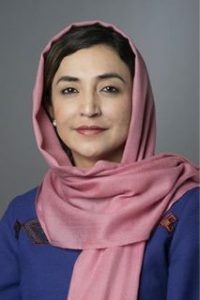 Despite hardships and challenges, this Nowruz in Afghanistan, we have extended an unprecedented offer of peace to those who have thus far acted to conduct violence and terror against our innocent and peace-loving people. We hope, this time around, our peace offer, enjoying the overwhelming support of the international community, will produce positive outcomes. The Taliban have a unique opportunity to abandon violence, pursue their interests through democratic and legal means, and work for a just and inclusive peace. Now that Nowruz has ushered in the year 1397 in our calendar, we are hopeful that the New Year in Afghanistan, our region, and beyond brings renewed hope, stability and prosperity for our collective civilization, irrespective of linguistic, religious and other differences. On that basis, let us strive more to foster new and strengthen existing bonds of friendship, solidarity and compassion for a more peaceful and prosperous world for all. Thank you and I wish you a very happy Nowruz.